-What is a "free" gift? Aren't all gifts free? -I went to San Francisco. I found someone's heart. Now what? -If swimming is so good for your figure, how do you explain whales? they won't bother you for weeks. What you do today, might burn your behind tomorrow. -Men have two emotions: hungry and horny. make him a sandwich . Just released audio version of Learning to Laugh When You Feel Like Crying. 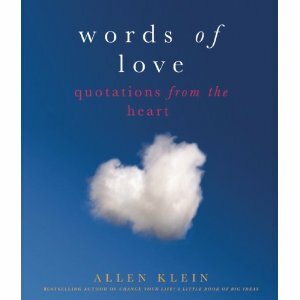 10 of the most amusing quotations about love from my recent book, Words of Love: Quotations from the Heart. Teenagers don’t know what love is. They have mixed up ideas. They go for a drive, and the boy runs out of gas, and they smooch a little and the girl says she loves him. That isn’t love. Love is when you are married twenty-five years, smooching in your living room, and he runs out of gas and she says she still loves him. That’s love. A boy's love comes from a full heart; a man's is more often the result of a full stomach..
My wife is really sentimental. One Valentine’s Day I gave her a ring, and to this day, she has never forgotten those three little words that were engraved inside—Made in Taiwan!